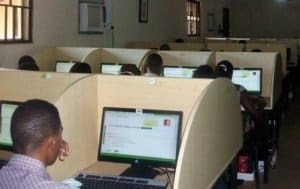 Applicants can now only choose 1 University, 1 Polytechnic, 1 College of Education and 1 Innovation Enterprise Institute while applying for the 2014 UTME. All the candidates that are yet to register are advised to carefully select their institution options. No correction would be allowed after submission of application. What a shame? Instead of providing job opportunities for people,Government are now using bad ideas to delay the young once from getting to their promise land on time,bcos cutting the head is not a solution to head ache. Innovative enterprise institute are set to help students improve competitiveness and positively impact the economy. May be for those who wanted to start their own business, but what if you don’t have enough capital to stand alone. Innovative enterprise institute? Is it for skilled labour or technical school or program for special people? Pls. enlighten us more about it. I hope we are not copying blindly in this great nation of our father. Unbelievable, no way! It’s not possible. Scrapping second choice is not a good idea at all, more so they are suppose to seek citizens opinion first before arriving at it. In abroad you are free to apply to as many universities as u like, where d hell is this country heading to? By doing this, they are creating more opportunity for cheating, manipulation and whom u know. Pls. think about it and make a change because it won’t solve the problem but worsen it. That is my own opinion.